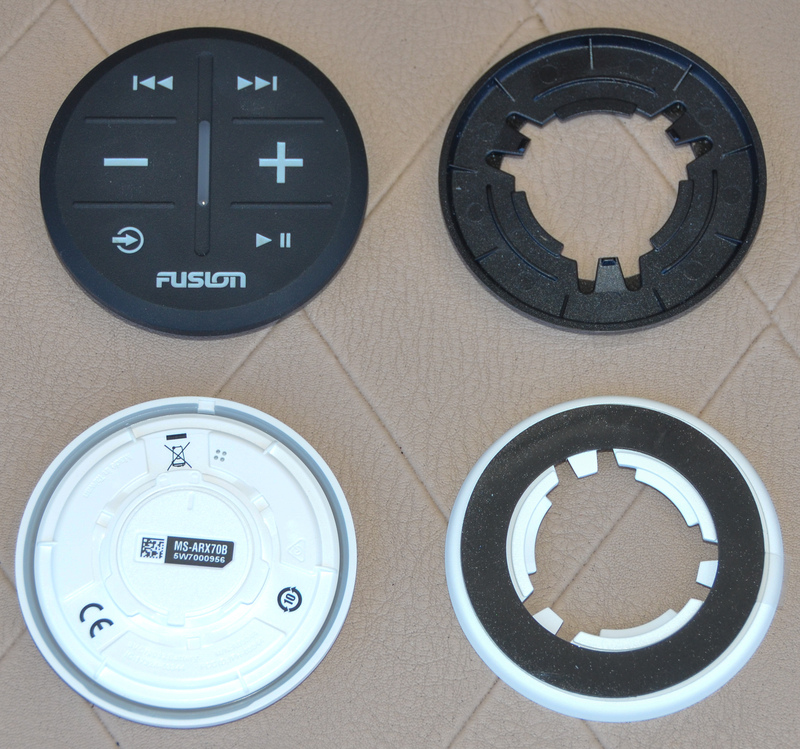 The $50 Fusion MS-ARX70 (Introduced in October of 2018) is a 2.5-inch disc with six face buttons — track back and forward, volume down and up, source, and play/pause — and it’s only 3/8-inch deep. Each one can be set to control the volume of one zone or all zones. 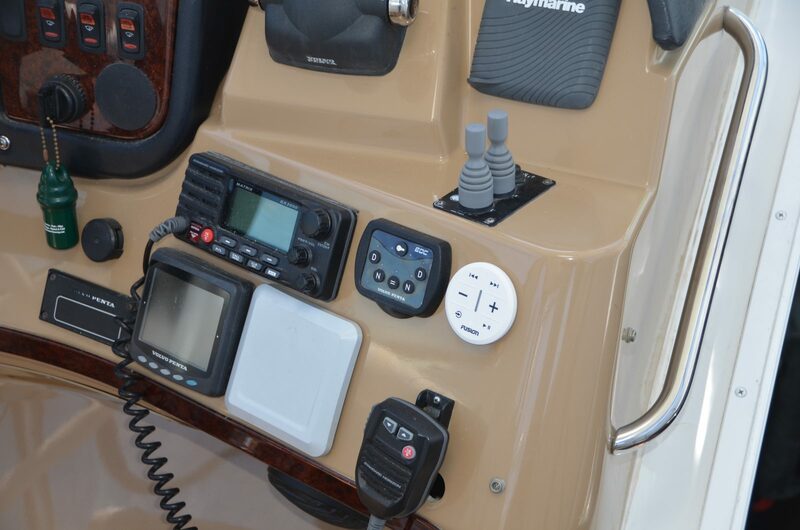 The remote uses Garmin’s ANT wireless protocol with a 10 meter / 33 foot range to communicate with many compatible Fusion head units: MS-RA70, MS-RA70N, MS-RA70NSX, MS-BB100, MS-AV755, MS-UD755, WS-SA150 (StereoActive), PS-A302 (Panel-Stereo), RV-IN1501, and MS-RA770. The remote is powered by a single coin cell battery that will last around 1 year and it’s rated IPX7 (can be submerged to 1-meter for 30 minutes) water resistant. 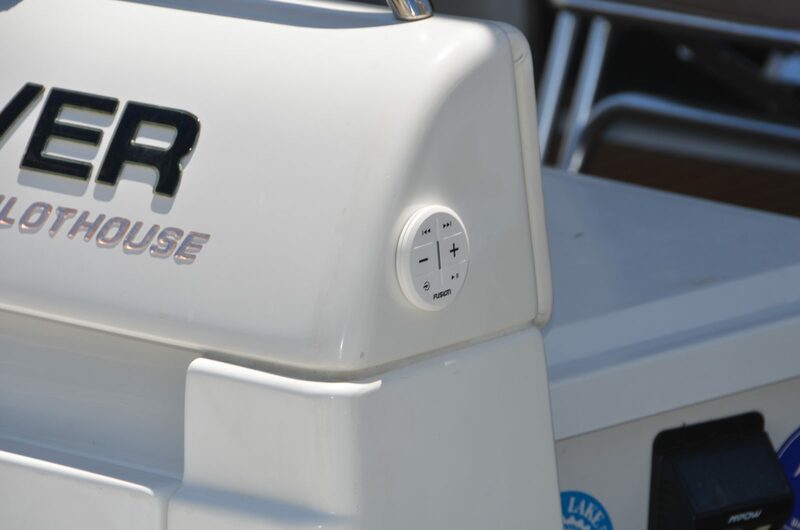 It can be attached to most any surface using the included mounting bracket’s strong adhesive ring, but I’ve also found it useful to remove it from the bracket (by turning about 120-degrees) and carry it with me around the boat. The ARX70 is great because it does a few things well, and does so most anywhere you want. It’s also extremely simple and intuitive to use. I’ve noticed visitors easily using the remote. 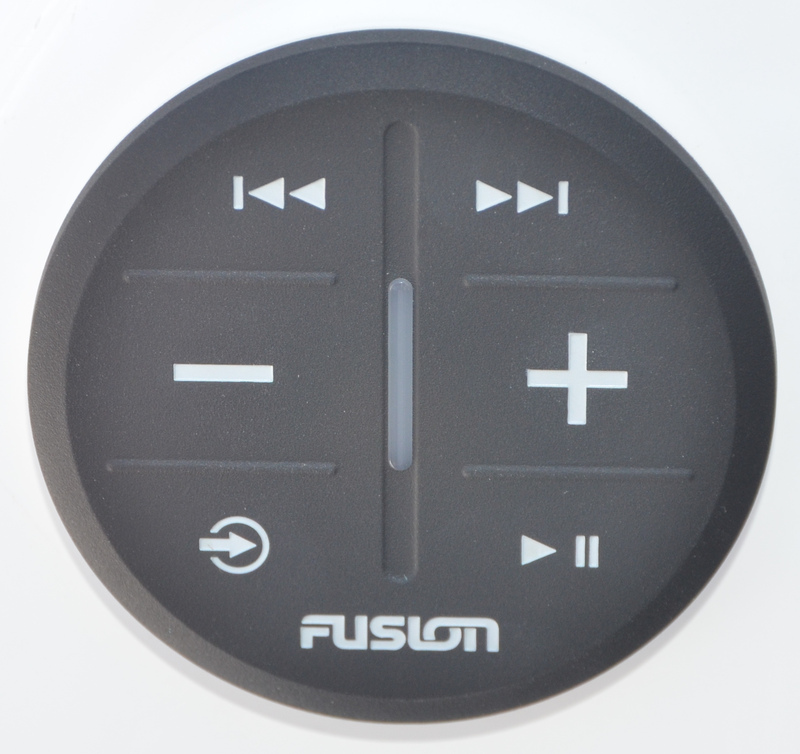 While it doesn’t replace the full functionality of the head unit, the FusionLink app, or an MS-NRX300 remote with full display, it does give you a quick and easy way to turn up a favorite song, skip to the next track or turn down the volume when you need to hear something else. And that, I think, was the design goal. At $50 you can afford to sprinkle a few of them around — each head unit can connect to up to four of them — so that they’re just where you need them when you need them.